When you are planning your wedding, we know that you want everything to be absolutely perfect. This is why we have made every effort to make our wedding chapel as beautiful as possible! When entering the chapel for the first time, you will instantly notice our lovely two toned hardwood floors with a center aisle that leads to the decorated stained glass at the altar. This is where you will find also find a back-lit cross that adds an elegant touch to your wedding! The Moose Hollow Lodge not only has a stunning chapel, but we are the only resort in the Smoky Mountains where you can rent the entire resort for your personal use! 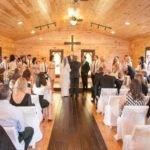 This means that your family, friends and other members of your wedding party can conveniently stay in one massive cabin just steps away from our chapel! Our lodge features nine large bedrooms and can accommodate up to 56 guests, making it the ultimate destination for weddings and other special events! When having your wedding at the Moose Hollow Lodge, you not only get private use of our wedding chapel in Pigeon Forge but also free tables and chairs for your wedding ceremony and reception! We are pleased to offer the complimentary use of 60 chairs, as well as six round tables and six rectangle tables. This makes it easy to hold your reception in the wedding chapel so that your guests do not have to travel to a separate location! The friendly staff at the Moose Hollow Lodge would be delighted to recommend catering services for your reception. Our goal is to make your wedding planning process a breeze so that you can enjoy this wonderful time in your life! Whether you need a personal chef to cook a full catered meal or a bakery to prepare a delicious wedding cake, we are here to meet your needs! Everyone attending your wedding will love your choice of the Moose Hollow Lodge as it turns into an instant vacation for your guests! This is because our lodge is full of amazing amenities and recreational facilities, not to mention scenic views of the mountains! The lodge features two large bubbling hot tubs, two gas fireplaces, a game room with an arcade and a 22 seat movie theater! As if that wasn’t enough, remind your guests to pack their bathing suits because our lodge even offers a separate heated indoor swimming pool cabin! Check out all of the information about weddings at the Moose Hollow Lodge today to plan your wedding ceremony at our wedding chapel in Pigeon Forge! We look forward to seeing you soon! We had our wedding at the moose hollow lodge this past weekend and absolutely love the facility. Our family enjoyed the cabin, tons of room for our 40 guests that slept over night on the spacious bedrooms at the lodge. Beds were comfy, the cabin was clean and nicely kept. Tons of room to visit in the great room and large kitchen. Plenty of activities to keep everyone busy, pool table, air hockey, theater room, in ground pool, hot tubs, etc. The reception building is prefect for weddings and allowed our party of 65 plenty of space for catered dinner by chef tony who was amazing and also allowed plenty of room for the band Stephen Goff and the royals who were absolutely fantastic! Our wedding day was perfect. 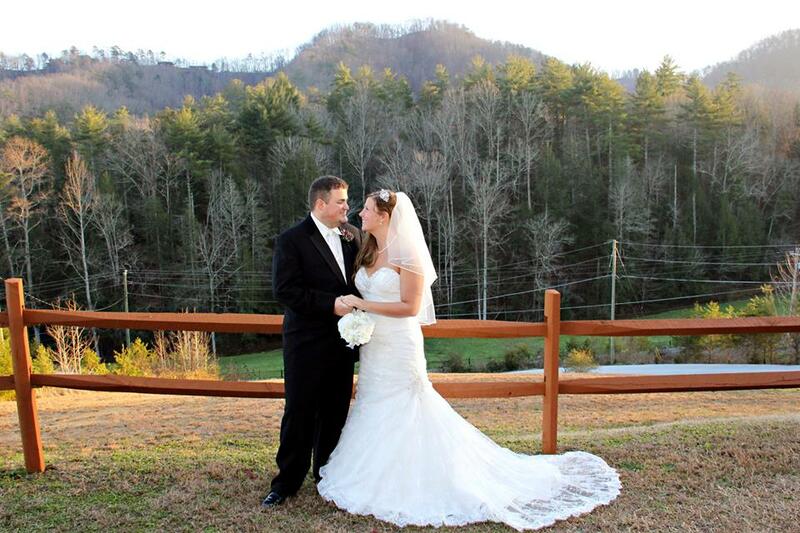 If you are planning a wedding in Gatlinburg or Pigeon Forge look no further than the moose hollow lodge! And Ed (the Owner) was so super nice and amazing to work with. 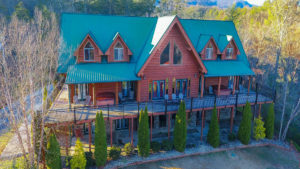 3 Amazing Amenities at Our Large Cabin in Pigeon Forge That Must Be Seen to be Believed! Moose Hollow Lodge located in Pigeon Forge Tennessee is the ultimate in luxury that offers the finest in large group cabin rentals. 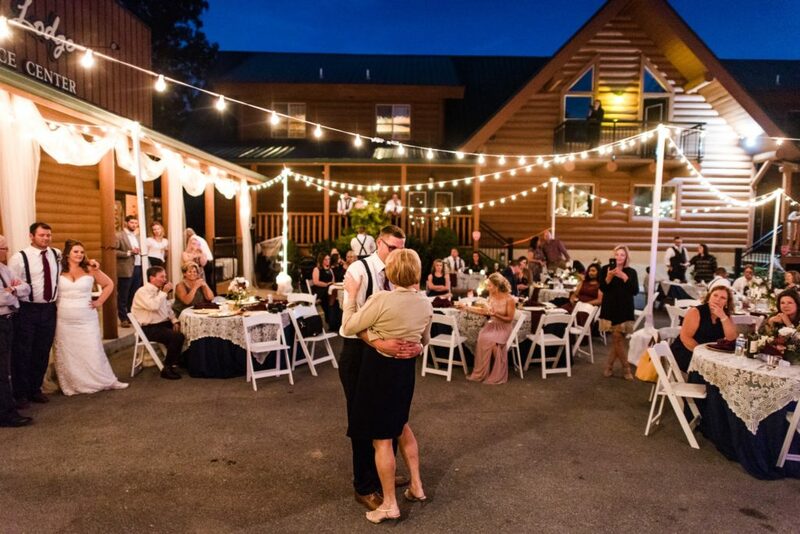 Bring all of your guests to Moose Hollow Lodge for your cabin wedding, family reunion, or church retreat. With over 11,000 square foot of indoor space, Moose Hollow Lodge is one of the largest Pigeon Forge cabins in East Tennessee and is perfect for any event. Moose Hollow Lodge 2018. All Rights Reserved.